This is the basic package to create a simple site for your band. This includes the purchase of a domain or site name. *subject to maintenance fees and update fees. This is the basic 5 package plus everything you need to set-up a merchandise shop and sell your band STUFF! *does not include LIVE archive. This is the basic package plus a LIVE archive. Show your fans live pictures, tour dates, tour posters from past, present, and future events! *does not include MERCH page. includes basic 5, Merch page, and a LIVE archive section. Treat your fans to the BEST! Fax: what is a fax? 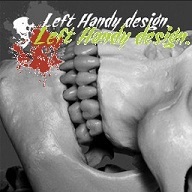 Copyright (c) 2017 Left Handy design.